In three seasons as head coach of the Denver Nuggets, Michael Malone has a losing record of 119-127, but there have been improvements made each year. Now, Malone is now heading into unfamiliar territory with a roster that is built to compete and making the playoffs being a necessity. The Nuggets roster is ready to take the next step. Nikola Jokic has been producing as if he is one of the best players in the league, every part of the Nuggets young core is returning after a strong offseason, and the front office has added several veterans to the roster to add depth and experience over the past couple years. Big improvements are expected for Denver in the 2018-19 season, but if Denver falls flat and misses the playoffs once again, will Denver be looking a new head coach? Those could be the stakes heading into the 2018-19 NBA season. When Michael Malone was brought in as the Denver Nuggets head coach in 2015, replacing Brian Shaw, the hire was widely praised. 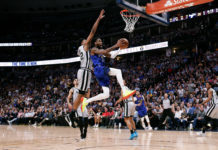 It showed a willingness for the organization to get back to the postseason, a place they have not been since the abrupt departure of former head coach. George Karl. 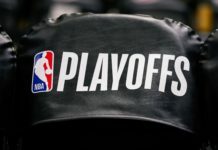 Even with the understanding that it would take time, Malone was hired to bring back a winning culture to the Mile High City and the Nuggets organization feels this is the year to collect payment in the form of their first playoff appearance in five years. The Shaw era was the first of many changes for a team that consistently made the playoffs and was coming off of a 57-win season just a year prior. The fast-paced, small-ball, and spread offense was a staple in Denver for decades, but it was scrapped immediately after Shaw’s arrival. Being that Shaw is a Phil Jackson disciple, he pushed for hard-nosed defense and an old school slow-it-down offense that didn’t appeal or fit with the roster in Denver. He feuded with his players, didn’t relate to the masses, accused players of tanking, and eventually lost the locker room. Shaw created a hostile environment which ultimately called for his dismissal. After Shaw it was Malone who was tasked with saving the Nuggets from their precarious position left by the former regime. In adding Malone, the organization knew they were getting a coach that preached progression and defense. That progression — the idea of improving everyday — has been on full display since Malone’s hiring. Malone has done a very good job not only repairing the locker room, but also in terms of on-court improvement. He took over a team that had only won 30 games prior to his arrival and has grown that win total to 46 in just three years. Denver has now gone two straight seasons missing the playoffs by a mere game. While there is lots to love about Malone’s tenure — including his acumen on building one of the best offenses in the NBA by playing through Jokic — unfortunately, his struggles to convey his ‘defense first’ ideology has left some frustrated. When the defensive issues are mixed with sometimes questionable in-game decision making, it gives validity to critiques of his coaching ability. Malone has shown that he can have a temper from time to time and has fielded questionable lineups (see Balkan buddy ball). His Nuggets teams have also looked unmotivated at times and lost their fair share of must-win games against teams that appeared to be tanking. For instance, last year there were losses to Memphis, Dallas, Atlanta, Sacramento and Phoenix by a Nuggets team that ultimately ended up missing the post season by only seven points on the final day of the regular season. If they would have won two of those games, they would have made the playoffs. Denver finished last season with a 46-36 overall record and barely missed the playoffs despite plenty of injuries including 44 missed games for the Nuggets biggest free agent signing in organization history, Paul Millsap. That injury left much to be desired on the defensive end as Denver finished as the league’s 26th ranked defense, adding another year to Malone’s resume as a bottom-dwelling defensive coach which challenges the ‘defensive-minded coach’ tag that has stuck with him throughout his coaching career. As bad as Denver has performed during Malone’s tenure on defense, the offense has thrived. Last year they were the sixth-best offense in the NBA after finishing in fifth the year before. No one is expecting Denver to suddenly become defensive juggernauts, but it is worrisome that Malone hasn’t made significant growth on the defensive end throughout his time in Denver. Another thing to take a look at is, while the organization has offered praise to what Malone has accomplished as a coach making the team relevant again, they’ve also declined to discuss a possible extension heading into the final year of his contract. With Jokic’ emergence as a possible future All-Star as well as Gary Harris and Jamal Murray also progressing in each passing year as core players that the front office is building around – Malone appears to be doing the right things and has been showcasing his ability to lead. Now, he is only missing one thing — the playoffs. This upcoming season; however, is where both Malone and Denver must show progression in all areas, specifically on the defensive end, and — more importantly — get back into the playoffs. 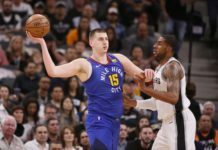 With what appears to be a great offseason for the organization, a healthy roster, and another year under the belt for a young core, it is hard to envision a year in which the Nuggets fail make the playoffs. 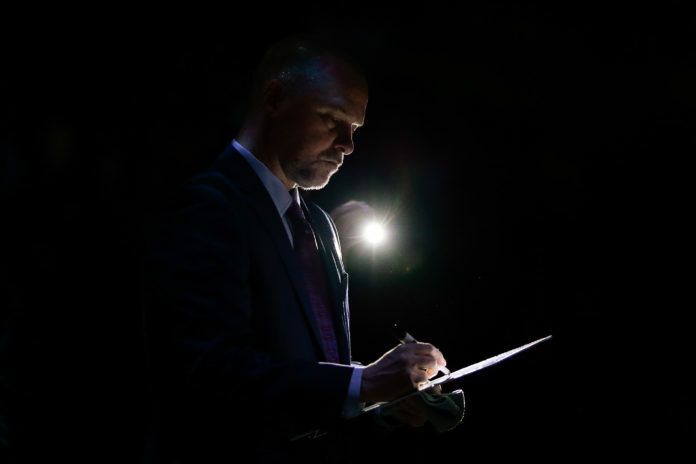 With another hypothetical rise in wins and the excitement of a playoff berth finally back to the Mile High City after a five-year hiatus, Malone’s job should be secured. If the team falls short and is absent for yet another year, it just might be his last year in Denver. It is imperative that the Nuggets make the playoffs in the 2018-19 season. This year is a make-or-break season for Malone.